What's so special about Oregon white oak? 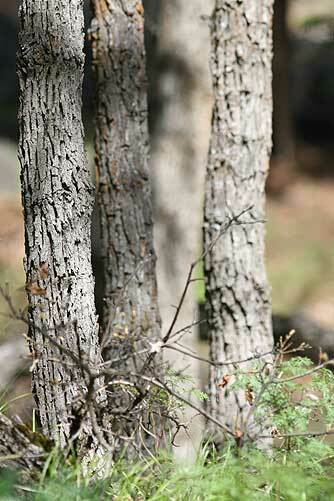 Oregon white oak is a stately tree with a gnarled form that provides valuable wildlife habitat. 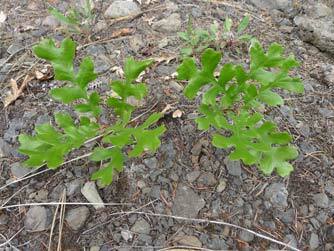 Also known as Garry oak or Quercus garryana, this is the only oak native to Washington State. The tree grows both east and west of the Cascade mountains, and in eastern Washington can be found mainly along the Columbia Gorge and in the south-central Cascade foothills -- for example along the Tieton River and Oak Creek wildlife area. Oregon white oak may live 500 years and grow very large. Oregon white oak is an outstanding tree for wildlife, with some animals having adapted to rely on it for survival including the gray squirrel, acorn woodpecker and many invertebrates such as the propertius duskywing butterfly. 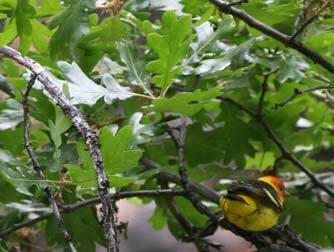 Oak woodlands support a diverse wildlife. 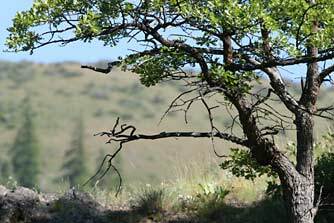 Many birds make use of this tree for food and shelter, or to safely rest on long migrations-- for example the western bluebird, white-breasted nuthatch, and western tanager.